WordPress is always a good solution. If you want to launch a website, blog or even just a personal journal this content management system will by far came in handy. The only thing you have to do before launching your Web presence is to choose the right WP theme for your site. MotoPress dev team has released PrimePress theme which will fit you whether you are a beginner or developer. PrimePress is a free responsive WordPress theme that can be a good starter point for your own website. Its intuitive interface allows more than just publishing content, it enables to edit the appearance of your website. Thanks to MotoPress drag and drop editor it’s possible to add new website’s blocks, move and remove them. And in such an easy way to create the unique look of your online business. The theme has a user friendly admin panel which provides a whole bunch of options to manage and modify your website. 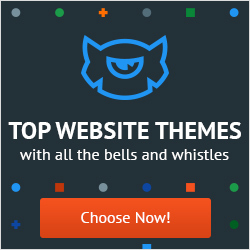 It also helps to customize almost any element of your WordPress theme. PrimePress comes with five page layouts, but this number can be easily changed. To make theme’s modifications you don’t need to have special professional skills. PrimePress is the fully responsive WordPress theme. It will look harmoniously on all computer devices and will fit to any possible screen resolutions. You have a full access to it from all gadgets without any problems. The theme is fully multifunctional and is suitable for powering up your site with WooCommerce plugin and quickly turn your website into online store. Any other plugins can be also easily integrated to the theme. If you are ready to install click Download and go ahead! PrimePress is a really winning solution if you want to create an effective and quality website with WordPress. It is absolutely free, so you do not need a cent to get a professional site! Don’t hesitate and get started right now. I'm the blogger, have a great passion for everything related to the design and article writing.